With black tie season approaching (holiday parties, weddings, charity galas), it’s never too early to start thinking about creating a custom ensemble to wear. 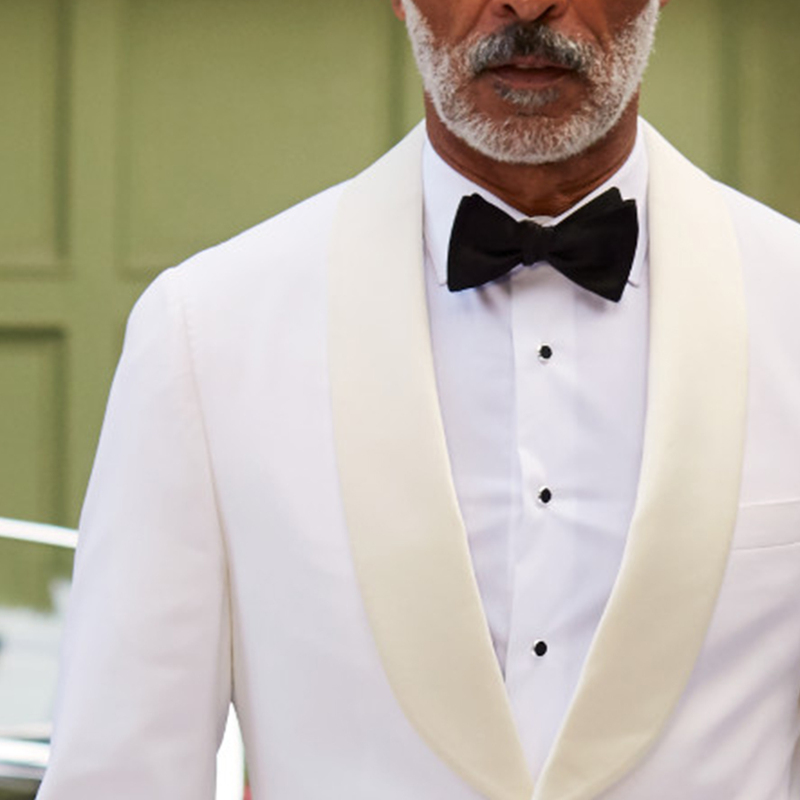 Whether this is your first tuxedo purchase or you’ve been around the sartorial block before, formalwear is one of those things that seems daunting, but is easy to get right. For an expert’s opinion on the matter, we consulted Emily Reuter, Trunk Club’s Director of Custom. For your first go-around, it’s a good idea to start with classic tuxedo styles. Emily suggests a one-button, peak lapel in midnight navy or black. 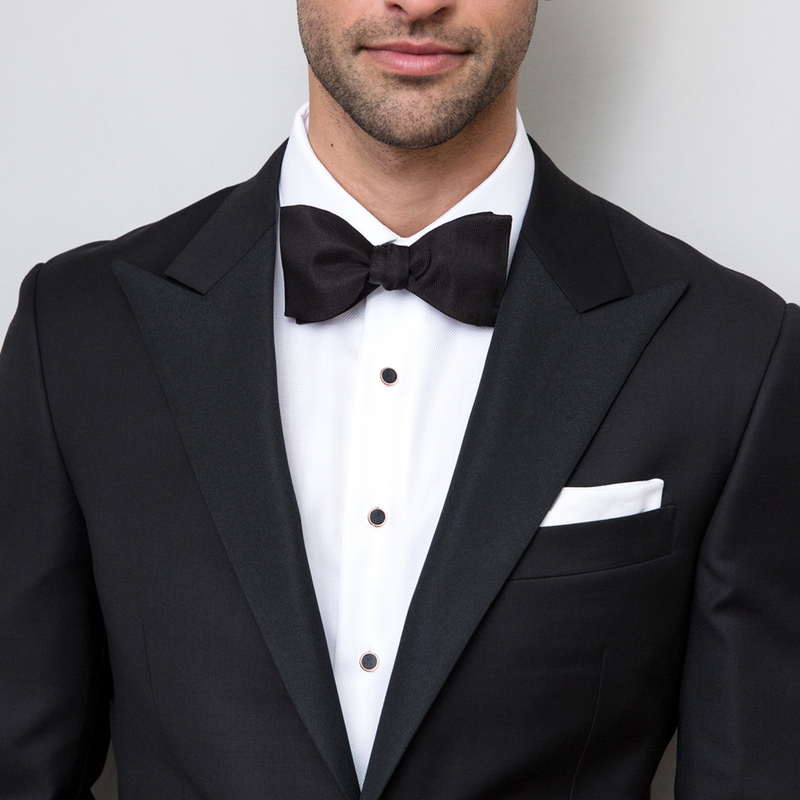 Historically, the tuxedo was created to be modeled after the colors of the night, so dark colors are traditional. Your next choice: grosgrain or satin? That will determine whether your tuxedo is matte or has some shine to it. 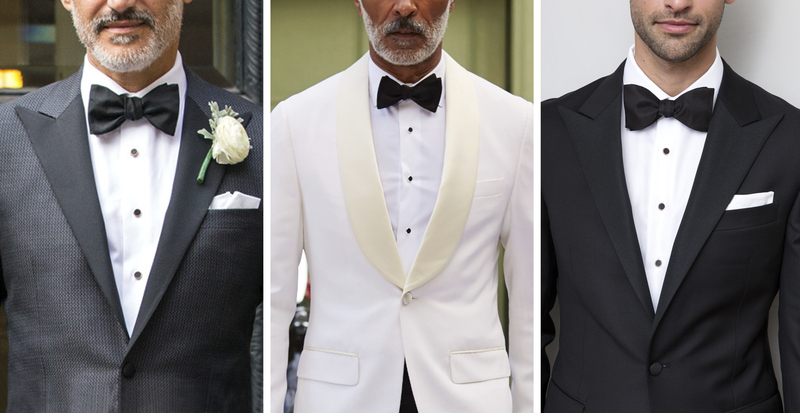 There’s no right answer—it’s your custom tuxedo!—so all the decisions are up to you. If you have a trimmer build, a shawl lapel is a good way to go. Larger men with round face shapes look great in a peak lapel. If you’re looking to build up your existing formal wardrobe, it’s important to make sure you have a few staples at the ready. Accessory-wise, a black tie or bow tie, stud set, and cufflinks are a must. Tuxedo shoes are essential as well. While you’re at it, ask your stylist to be fitted for a few white French cuff dress shirts during your next Clubhouse appointment. You should always have at least one on hand. For those who have the basics and the classics covered, Trunk Club Custom can help you branch out. To take things to the next level, Emily recommends a custom dinner jacket. Always designed with a shawl collar, the color is up to you (white never ceases to look sharp). Or, if you’re creating a piece with an event in mind, a dinner jacket in Black Watch plaid is a favorite pattern for the holidays. Tuxedos in non-traditional colors are a great way to stand out as well. Deep blue, red, green, or even rich, chocolaty browns are a welcome twist on a classic look. Colors such as blue or burgundy are popular for spring or summer events, but they’re fair game to wear all year round. Interested in a custom appointment? Talk to your stylist.